Let’s be honest, in regards to the food and wine industry, running a restaurant would be the hardest gig. It takes a brave individual to take the plunge and open a restaurant. When you consider the hours, pressure on family time and ultimately, the end profit, it makes running a successful restaurant as easy as walking across a tight rope in Port Melbourne (ie damn near impossible). Then to take it one step further, one of the main ways restaurants can actually make some money to pay wages, rent, etc is by selling wine. There is not much money to be made in food. Some restaurants sacrifice profit for the love of their customers and allow individuals to Bring their Own Wine to be enjoyed in a restaurant. This is a gutsy move and not many restuarants can pull it off long term. If I wanted to run a successful restaurant, the temptation NOT to offer BYO would be pretty strong. As a business decision, it is CRAZY to offer BYO. However, I am glad that there are some restaurants that offer the privilege of being able to bring your own bottle to their restaurant. Hence, we should not abuse this privilege that BYO restautants offer. I am not talking about your cheap Chinese suburbian BYO restaurant nor local Pizzeria that gives you tumblers to drink your wine out of. I am talking about those fine dining restuarants that go the extra yard with food, service and good glassware. By allowing BYO it means that you can bring that special bottle to be drunk with food you can not simply cook at home. Do not bring an open bottle of wine unless agreed with the restaurant in advance. Do not bring homemade wine or boxed wine. Only commercially made wine in a sealed bottle is permitted. Do not bring beer, cider, alcopops or spirits. Only wine and champagne are permitted. Do not ask restaurants to allow BYO on non-Club days or times — they don’t like that. Do not nip out to the off license during your meal to purchase more wine — it’s just bad form. Endeavour to bring wines on par with at least some of the wines on the restaurant’s own list. If you feel the need to bring a truly inexpensive bottle, it’s best to do so at a comparably inexpensive restaurant. 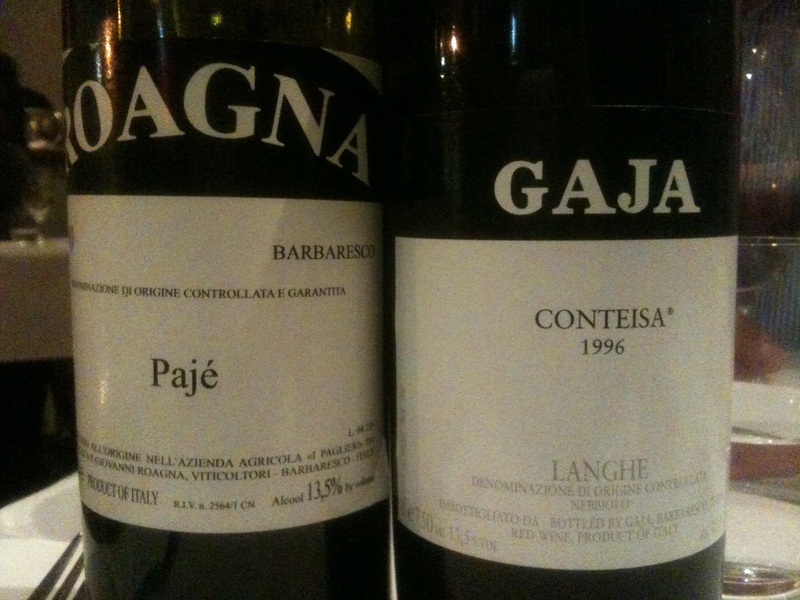 Whenever possible, try to avoid bringing the same wine that is on the restaurant’s list. We encourage you to peruse the wine list whilst at participating restaurants. Owners and managers have spent a lot of time and effort putting them together and you might find some hidden gems that you want to try should you return on a non-Club day. Consider offering the sommelier a taste of your wine — it’s just a nice thing to do. Quality restaurants in Melbourne that allow BYO (places like Matteo’s, Scopri, Mister Bianco, France-Soir, etc) don’t do this so you can enjoy a bottle of Yellowtail or Brown Brothers Moscato with your meal. Please don’t abuse the privilege: bring a bottle that justifies their BYO offer. It was always a hard question until about a year ago when Alison and Anthony (do we need last names?!!) opened Scopri. After a slow start (and it takes a while for the word to get around) they have been packed to the rafters every night with not only locals but many in Melbourne town travelling across town to experience top-line BYO wine service matched with some pretty amazing Italian food. They decant, have awesome glassware and know Italian wines very well having lived in Italy for a year before setting up Scopri. 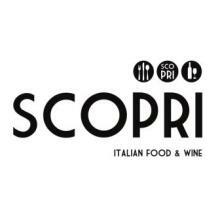 If your looking for a restaurant to go with that special bottle or just want a great meal served by two hosts who are as switched on (and always on hand) about Italian food and wine, then Scopri is your place. Who cares. The food is good! !